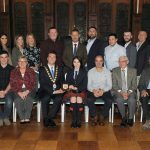 A Civic Reception hosted by Councillor Richard Smart, the Mayor of Ards and North Down Council, was held in Bangor Castle in honour of local girl Emma Barr. 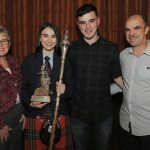 The nineteen year old from Ballygowan has been announced as the youngest ever Adult Champion Drum Major. 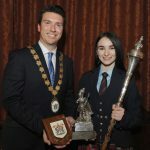 She started her drum major skills at just four years old under the tuition of the 2011 Adult World Champion Drum Major, Alicia Dickson. 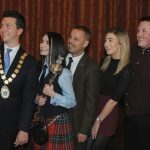 From eight years of age until the present day, Emma has been trained by three-times Adult World Champion Drum Major Brian Wilson MBE. 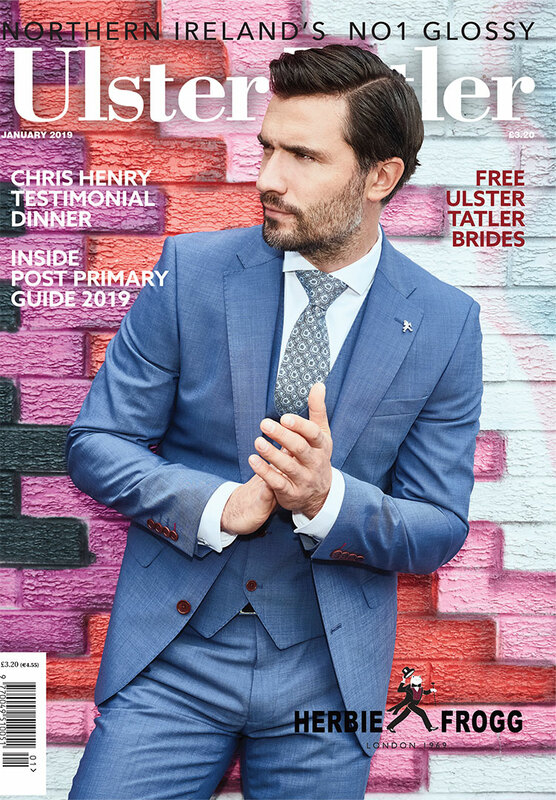 Some of Emma’s previous achievements include being a two-time World Champion Drum Major, and winning the Junior World Champion title in 2010 when she was a member of Ravara Pipe Band (the year the band were crowned Grade 2 World Champions). 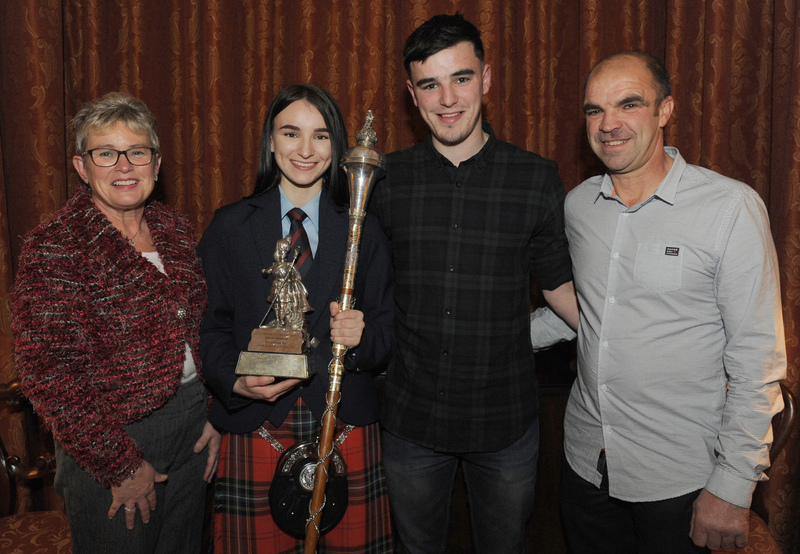 She won the Adult World Champion title in 2018 when she was a member of Field Marshal Montgomery Pipe Band (the year the band were crowned Grade 1 World Champions for the twelfth time). 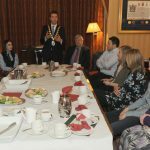 Speaking of the civic reception event to recognise her successes, Emma said, “I feel honoured to have been given this civic reception by the Mayor of Ards and North Down Council”.